Gooseberry is rich in iron and it has a wide range of health benefits. Regarding this pachadi, it is so easy to prepare with the limited number of ingredients. As the summer is showcasing its heat the gooseberry and the yogurt combo gives cooling effect to the body. Except tempering no cooking is involved in the preparation of this delicious pachadi. The sour taste of gooseberry with ginger gives superb taste to the dish. Make this dish often at home and keep your family members healthy and fit. 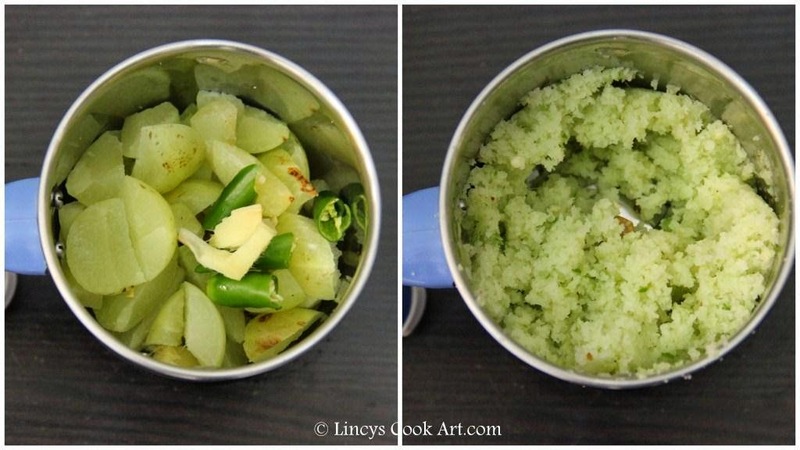 In a blender jar add the chopped (seeds removed) gooseberry, green chillies and ginger. Pulse twice or thrice to coarsely blend them. Do not make as fine paste. 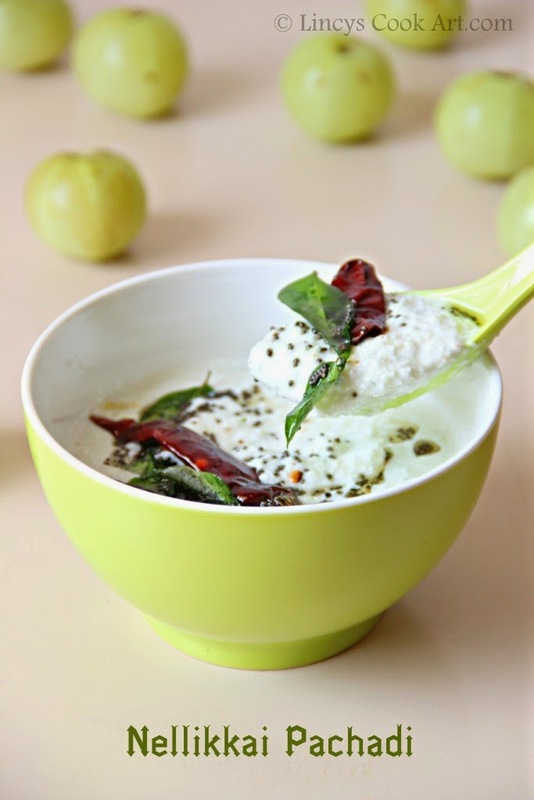 Beat the curd with salt and add with this gooseberry mixture. 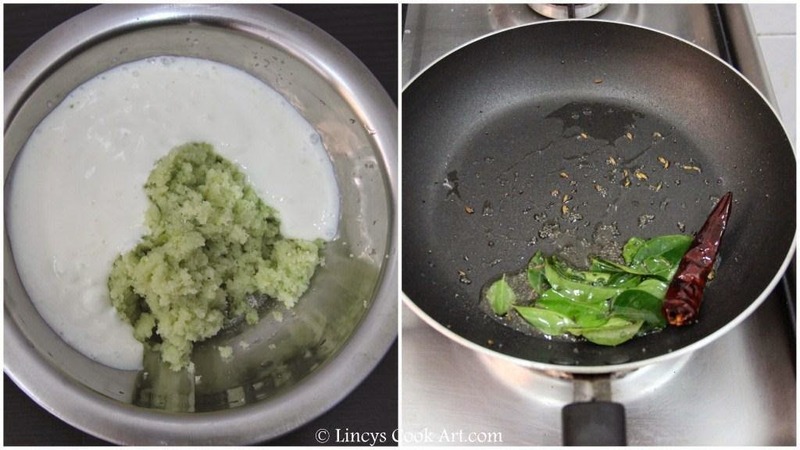 Heat oil in a pan and add mustard seeds, once it splutters add the dried red chilli and curry leaves; add the asafetida and immediately switch off the gas. Mix well the tempering with the gooseberry curd mixture. Check for salt and serve with rice and curry. Notes: You can use 2 tablespoons of coconut if you wish to add while grinding. Do not add salt while grinding. Add only with yogurt or after adding yogurt. Before adding may turn the gooseberry lightly brown in colour. 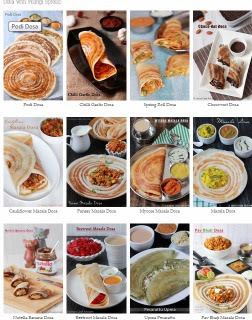 Sound delicious. Looks very tempting. I love to add some grated coconut to this pachadi,healthy side dish.